Lasting quality is important to us. We believe it is better for the planet and the bank balance to invest in products that can be used effectively for years. reusable goods than to create disposable products that cost more to keep replacing in the long term, as well as creating more waste. 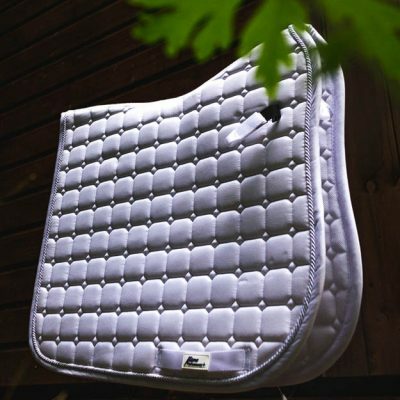 Testament to success, we have saddle pads that have been used daily in a riding school for three years now. Despite being washed three times a week, they are still fully functional and in great shape. 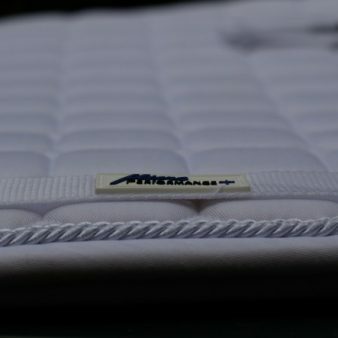 This is the quality we expect from our products. .
We are incredibly proud of our mark of quality and we hope that you will enjoy using them for many years to come. 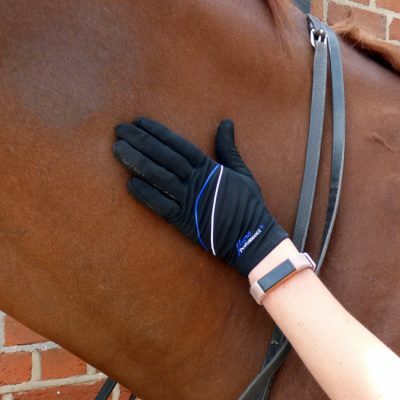 Take our pioneering MP+ Lite Contact gloves for example, which provide ultimate grip, water resistance and touch screen functionality, giving the wearer a second skin. What is not to like? Where functionality is concerned, we want our customers to feel the difference when they use them for the first time. We like our products to look sleek and professional without bling Our brand philosophy is to let their performance do the talking. 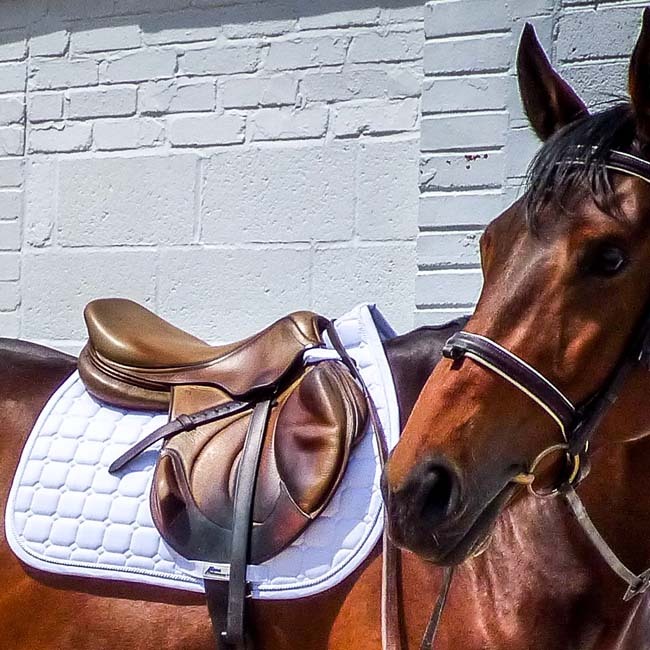 Our founder is a Professional Engineer with a love of horses and we like to think of MicroPerformance+ as the perfect coupling of heart and head. 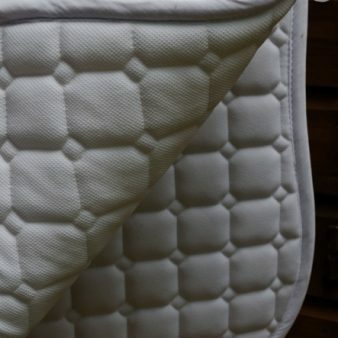 The first product came about when he realised that with better design and materials, he could make vast improvements for the comfort of his horses and have products he could keep for years. . The General Purpose MP+ Saddle Pads were developed to be anatomical- so shaping to the physical structure of the horse) Coupled with sweat absorbing and anti slip performance to give the horse the required comfort under the saddle and prevent long-term injury. Engineering principles are at the heart of everything we do, whether we see the potential for a completely new product or we identify marginal gains from a design alteration. 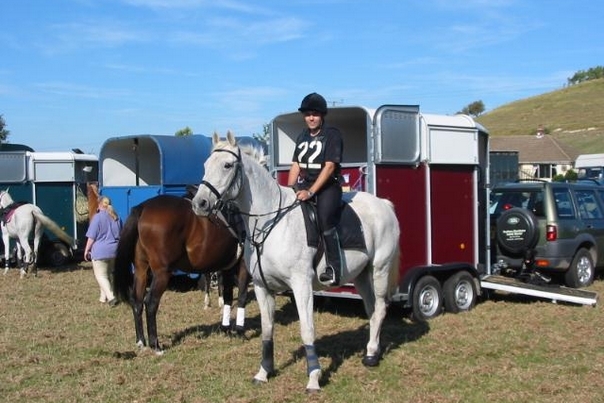 We pride ourselves on understanding the needs of the horse and rider and use cutting edge technology to meet them. We work hard to bring you equipment with an extra edge to help performance. 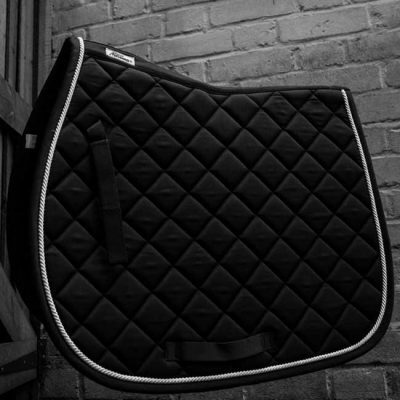 Our products have been developed with the support and brain power of professionals in a number of equestrian fields including vets, professional riders, trainers, farriers and saddlers. 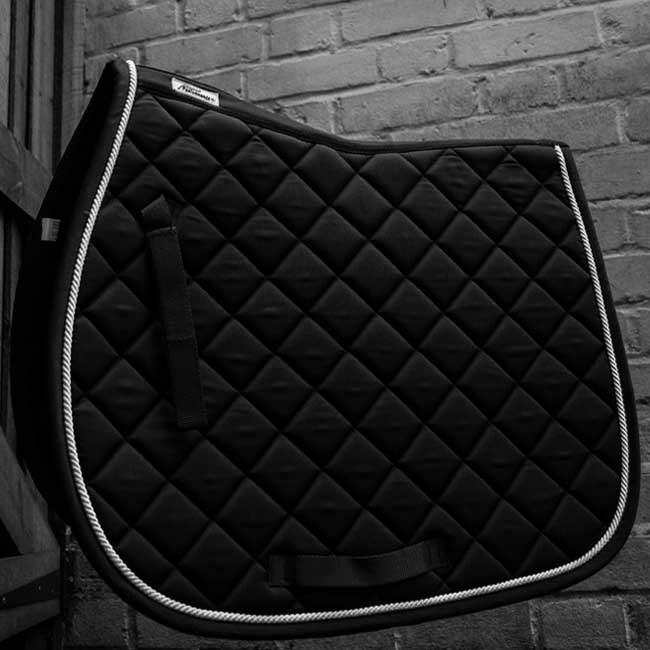 With the comfort of the horse and rider at the heart of design, can you afford not to have MicroPerformance+ on your side? Meet the team of experienced professionals who micro engineer and rigorously test our products so that you and your horse can benefit from the kind of equipment you deserve. Arash is an experienced Chartered Engineer, with 2 Engineering degrees from the University of Sheffield. Having been involved with horses since the age of 10, the seed to love and care for horses was sowed. 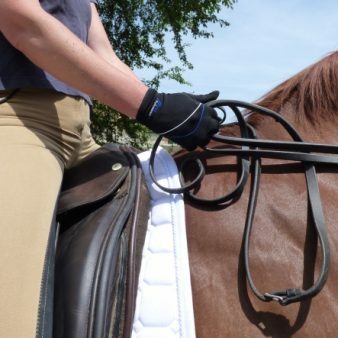 Later in life, with technical knowledge of materials and design behind him, he decided to use that experience to develop products for the equestrian industry. Ellie brings a wealth of experience in competing, horse management and the equestrian industry to the table. 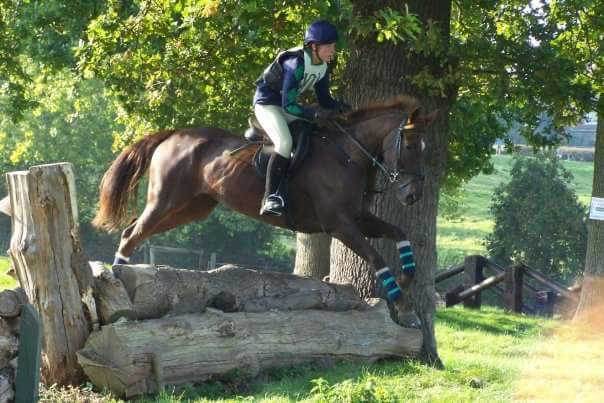 She understands the demands of the sport horse and rider having previously evented internationally to three-star level and Showjumped on the County circuit, as well as running a professional yard. 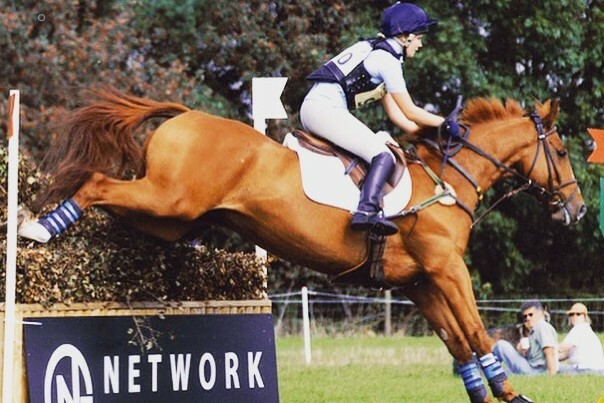 Megan’s background involves working up the ranks of a well established equine college, from student- where she originally met Ellie on work experience placement, to Event Manager. She successfully organised and promoted numerous events, raising the profile of the centre by winning a number of bids for national competitions.